has been confirmed for July 14 at Upton Park. 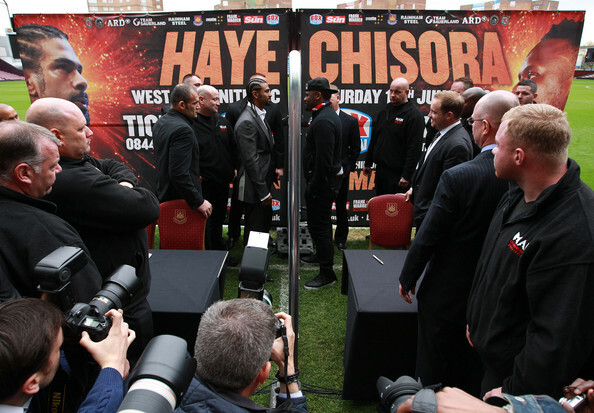 Haye and Chisora famously brawled at a press conference in Munich following Chisora’s points loss to Vitali Klitschko. That “memorable” video can be see below. Following the press conference brawl, Chisora boxing license was revoked by the BBBoC while Haye hasn’t held a boxing license since retiring following his points decision loss to Wladimir Klitschko. The fight has been sanctioned (I’m not quite sure how) by the Luxembourg Boxing Federation. An all British clash, held in Britain sanctioned by the Luxembourg Boxing Federation. I’m not quite sure how it works but I’m not complaining. The build up is going to be electrifying and hopefully we’ll end up with a main event that is worth it and not the dud that was with Haye’s previous two fights (Wladimir and Fraudley Harrison). 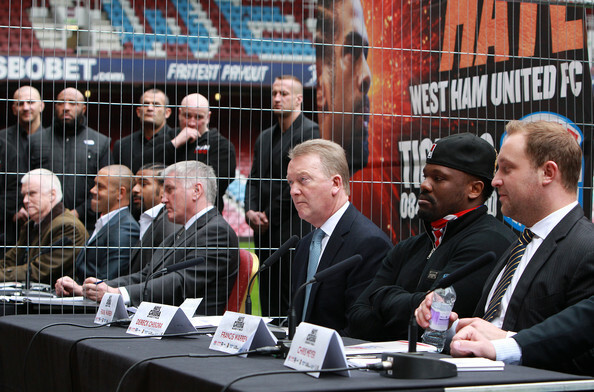 Below is a video of the full press conference (courtesy of iFilmLondon) between Derek Chisora and David Haye. I won’t be making a prediction just yet, I’ll wait until nearer the fight for that but this is a chance for you guys to say how you feel. Who do you think will win? Who do you want to win? Do you agree that this fight should take place? And if you don’t think it should, please tell us why you think that. 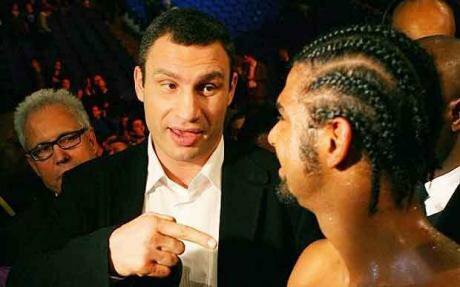 David Haye’s long awaited unification bout with Wladimir Klitschko will finally take place in Hamburg on July 2nd. The fight will take place at the Imtech Arena, home to Hamburg FC, where Haye will take on the WBO and IBF champion almost two years after the fight was originally scheduled but cancelled due to Haye pulling out with a back injury. Haye has been baiting the Klitschko brothers ever since stepping up to the heavyweight division and will now have his chance to prove to everyone that he is as good as he says he is. There is no doubt the Klitschko brothers have been angered by Haye’s continuous taunts and Wladimir will head into this fight more pumped up than ever. 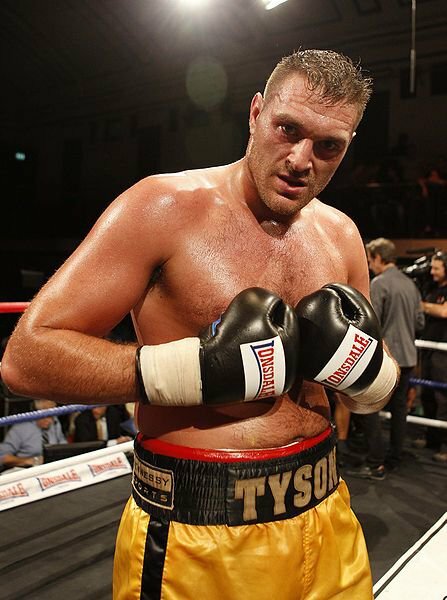 This fight promises to be a fantastic clash and with Wladimir admitting that he wants’ to knock Haye out, we could well see a different approach from the usually conservative champion. 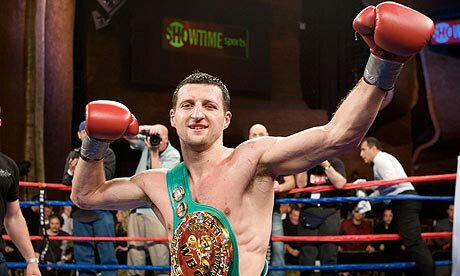 This is a massive chance for Wladimir to silence a lot of experts and fans who have been critical of his choice of opponents and style of fighting. We all know Wladimir has been down before so the question is; will he have enough to deal with Haye’s speed and power? We all know what this fight means to David Haye. If he wins it goes someway to cementing his legacy in the sport, lose and he’ll probably be remembered for being a loud mouth who knocked out Audley Harrison. Will Haye have enough tactical nous and skill to penetrate the Wladimir jab? One thing is for sure; the build up to fight promises to be explosive.